down from its its daytime roost as it is alerted to something below. 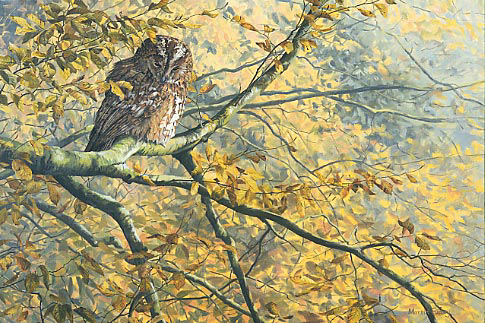 The owl is perched in a colourful autumn beech tree. Please note: These tawny owl prints are sent out using special large diameter postal tubes.